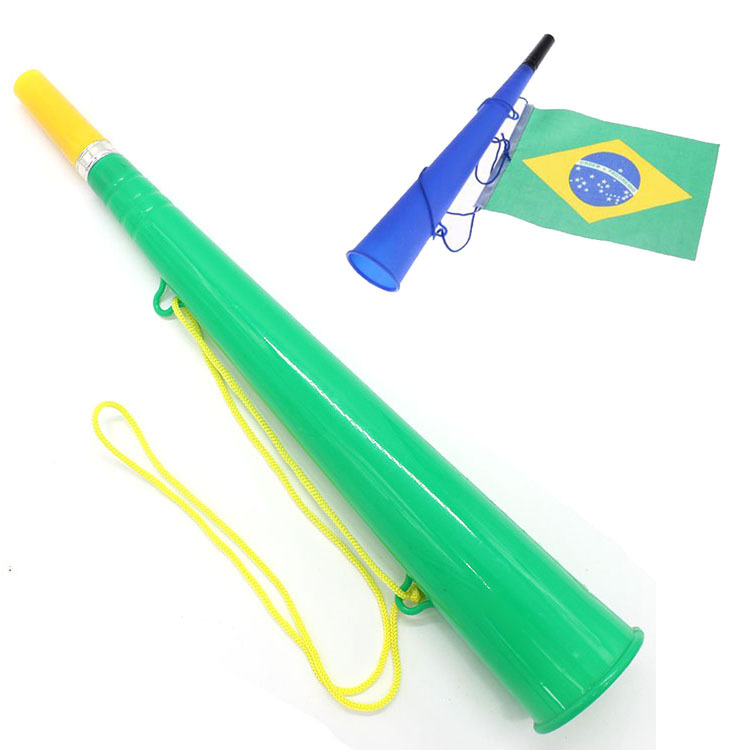 vuvuzela horn is made of ps. Custom logo can be filmed or printed. You also can add a flag with it. It is great for trade show, football match and so on. Price includes 1 color 1 side 1 location with silk printing. Imprint Size: 1" × 2"
Package: 1 pcs/poly bag, 480 pcs/ctn, 58 lbs/ctn.